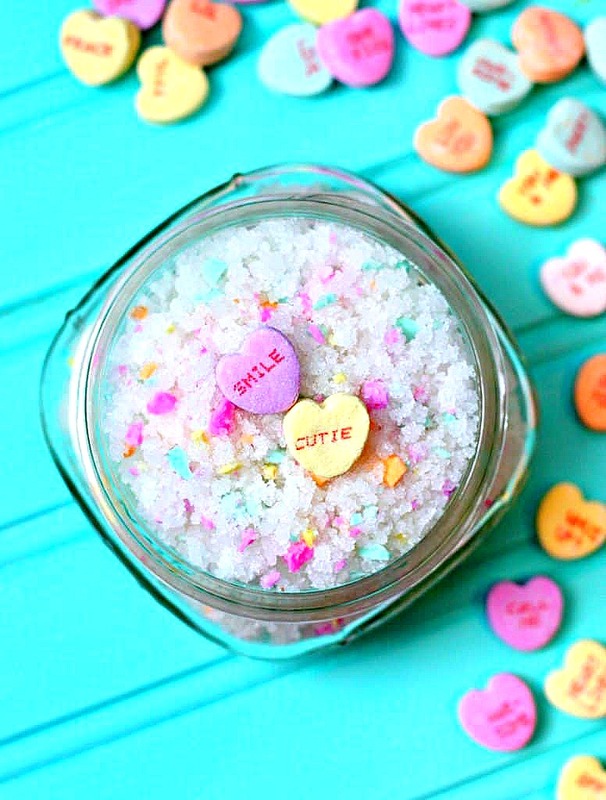 Valentine’s Day Sweethearts Sugar Scrub – Add a handful of sweethearts to a simple homemade sugar scrub for a fun Valentine’s DIY that will leave your skin feeling silky smooth! What do you think of when you hear the words Valentine’s Day? Yep, that’s what I was thinking. Hearts and sweethearts also known as conversation hearts. 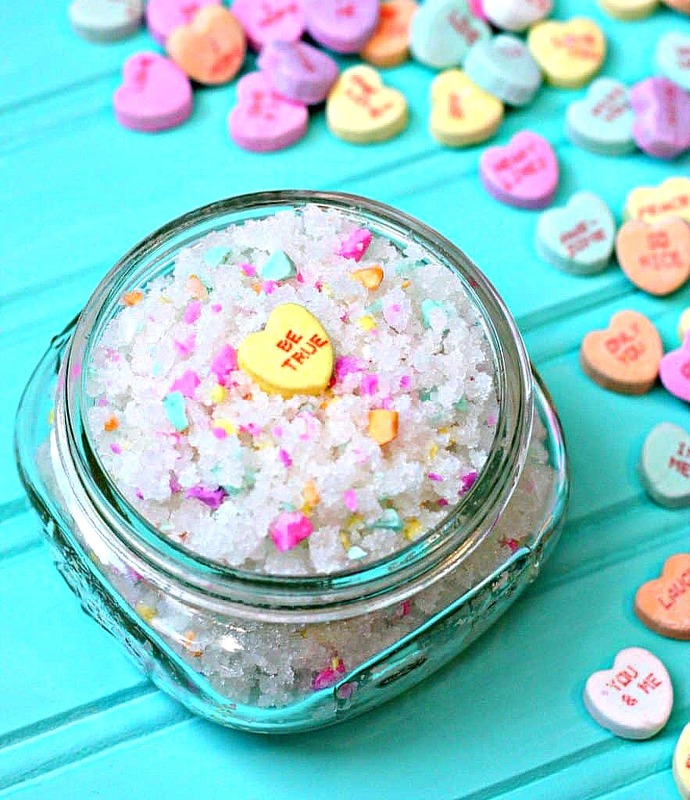 These are so popular this time of year so I decided to make a simple sugar scrub and add crushed sweethearts. This is such a fun little homemade beauty project especially if you want soft skin during these cold, dry winter months. I’m actually a little obsessed with using sugar scrubs to exfoliate my skin. Sugar scrubs are simple to make and incredibly moisturizing and exfoliating to the skin. They can be used on your face, body, and feet leaving your skin soft and smooth. I especially love using them on my hands. 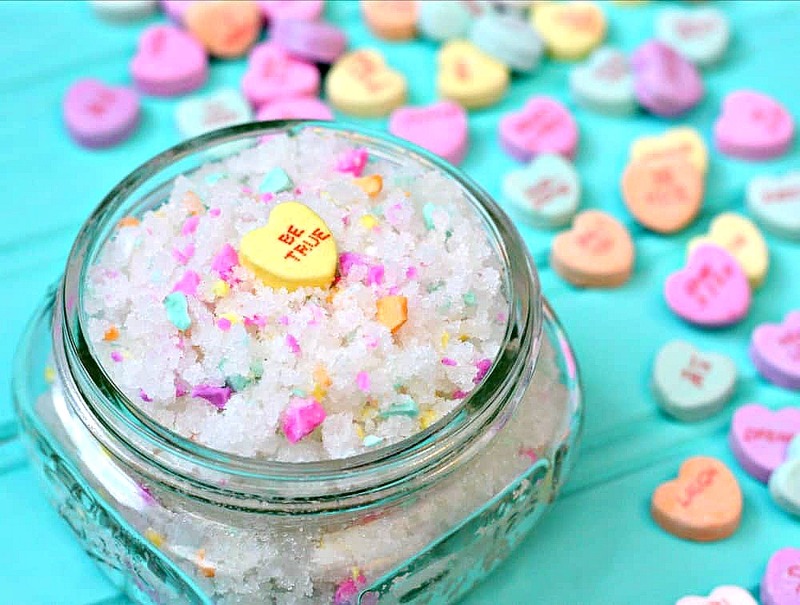 This sugar scrub is super easy to make and perfect for Valentine’s Day. I love the color the conversation hearts add to the sugar scrub. Such a simple way to pamper yourself. Step 1: Add sugar and oil to small bowl. Mix well. Step 2: Add sweethearts to plastic bag and break into small pieces using the bottom of a glass. Add to sugar mixture and mix until well combined. That’s it! Now you have a colorful sugar scrub to keep your skin silky smooth. 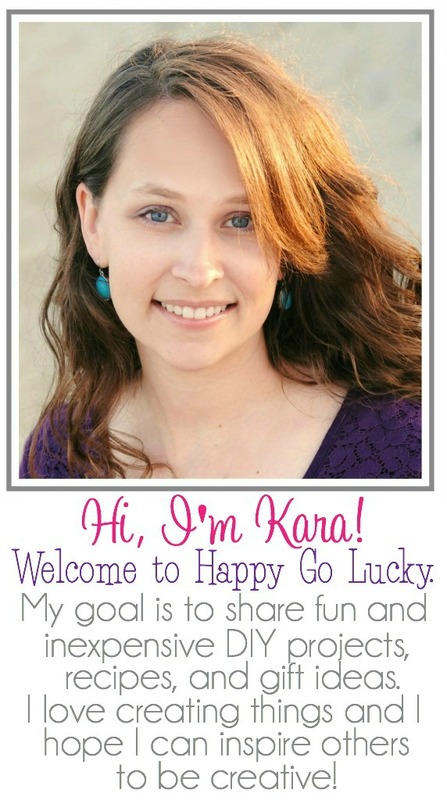 Feel free to add a few drops of your favorite essential oil if you want. I love a good sugar scrub recipe!